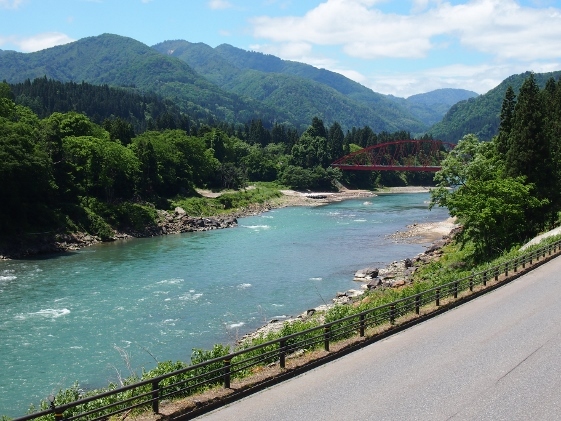 Today I left Nishiyama Onsen and pedaled along National Route 252 which also went along Tadami River and JR Tadami Line. 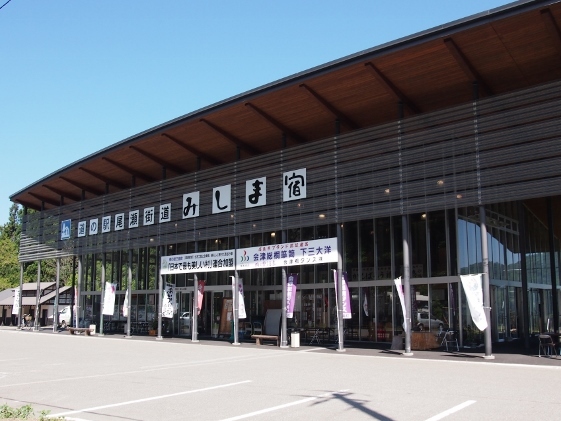 I stopped at Mishima Town and finally arrived at Tamanashi Onsen at Kaneyama Town. 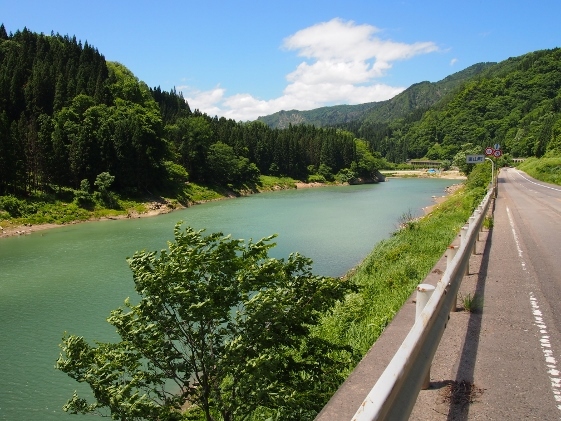 Mishima Town and Kaneyama Town were called Okuaizu country which was covered deep in snow in winter. 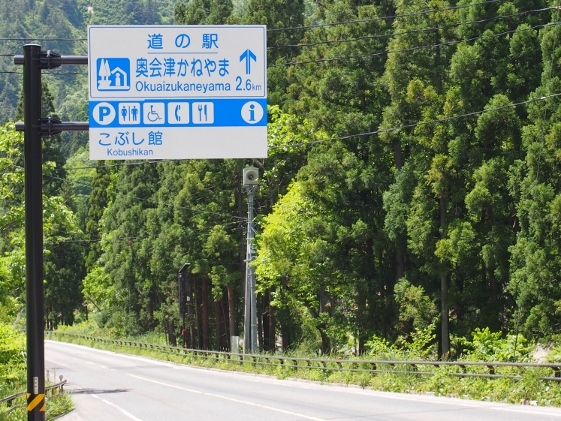 After I left Nishiyama Onsen and merged into the National Route 252, I soon found the Road Station called "Ozekaidou-Mishimajuku" which was located in Mishima Town. 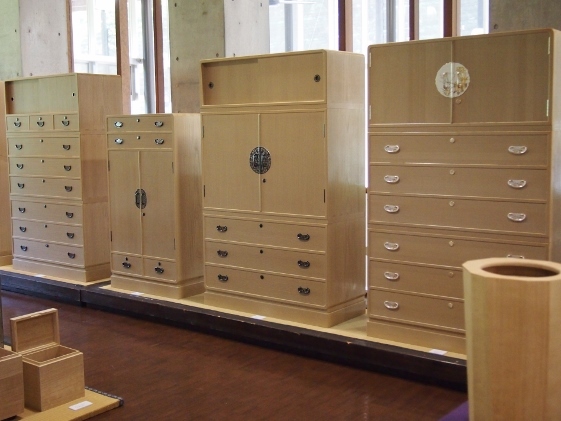 Many products of Mishima Town were in sale such as wooden cabinets made fully of paulownia as shown in the pictures above. 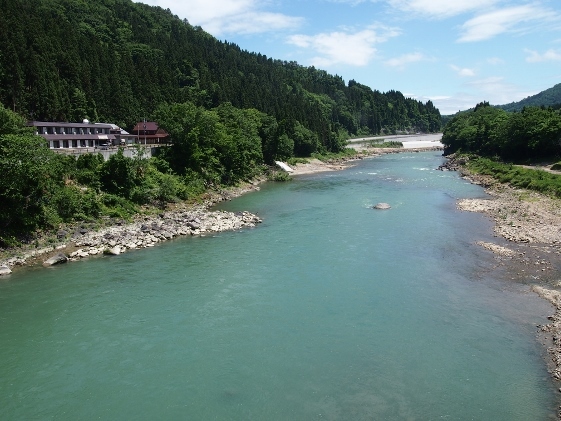 My bike went along Tadami River and I fully enjoyed beautiful scenery as shown in the pictures above. 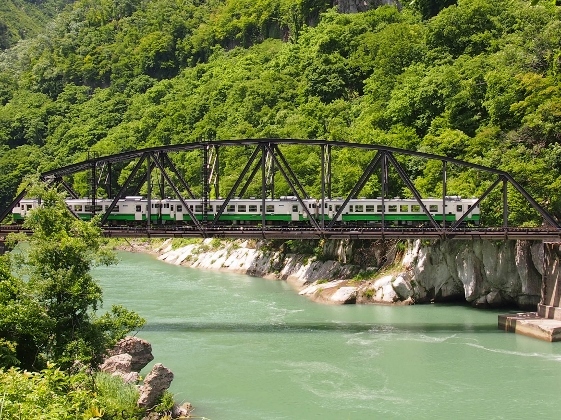 JR Tadami Line also went along Tadami River. 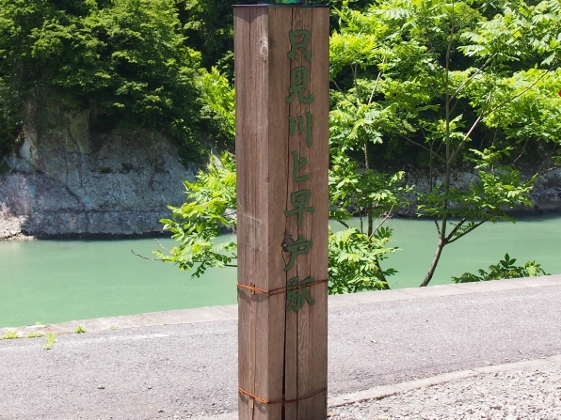 Some views were shown below. 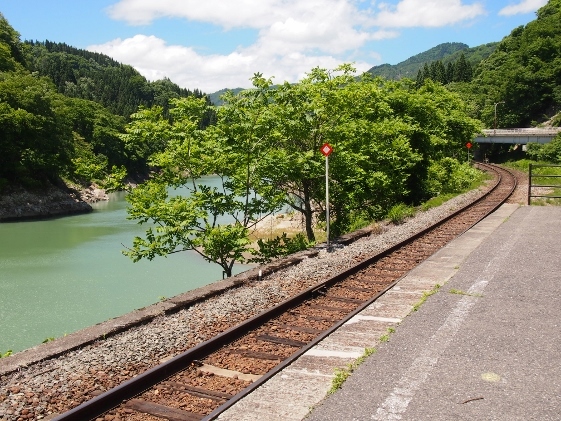 At JR Hayato Station Tadami River flowed along just beneath the station platform as shown in the pictures. 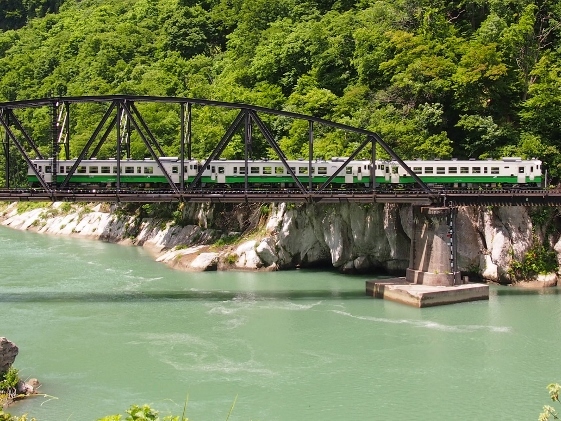 I was also lucky to find three passenger cars of JR Tadami Line bound for Aizuwakamatsu came crossing the railroad bridge as shown in the pictures above. 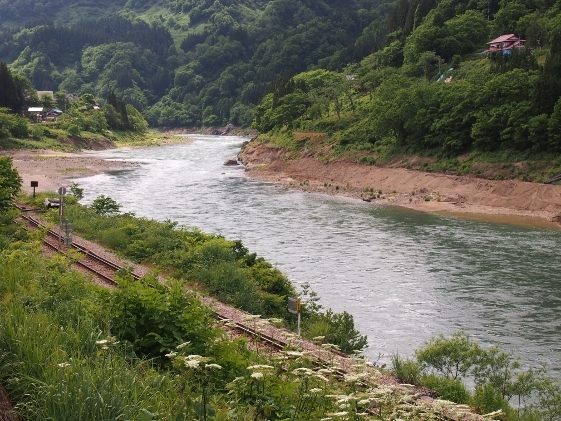 The picture above shows railroad of Tadami Line went just beside the Tadami River at a little before Aizukawaguchi Station. 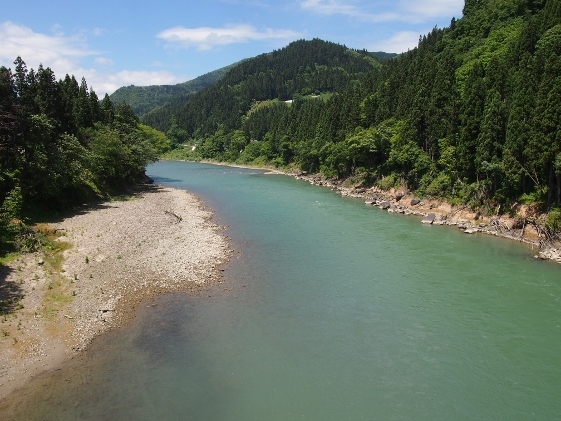 Between Aizukawaguchi and Tadami Stations shuttle bus service was temporarily being operated　because of heavy rain disaster two years ago. 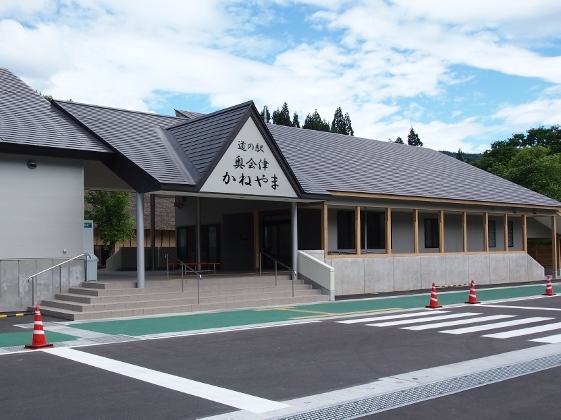 In this neighborhood I found brand new Road Station called "Okuaizu-Kaneyama" which opened in this April. 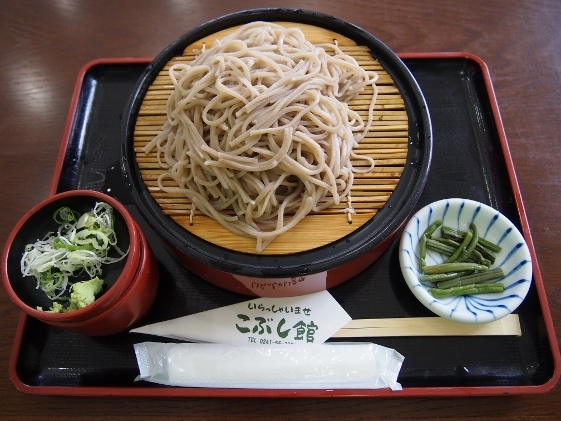 Pictures above show the guide sign, view from National Route 252, view from behind, and handmade zaru soba served. 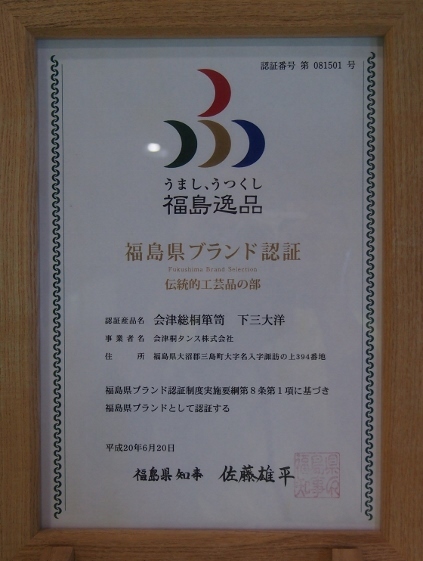 I felt comfortable with new and sophisticated Men's and Women's rooms and restaurant. 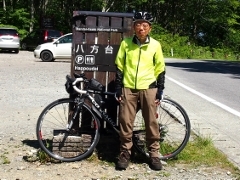 Then, I turned left and pedaled along National Route 400 and finally arrived at Tamanashi Onsen. 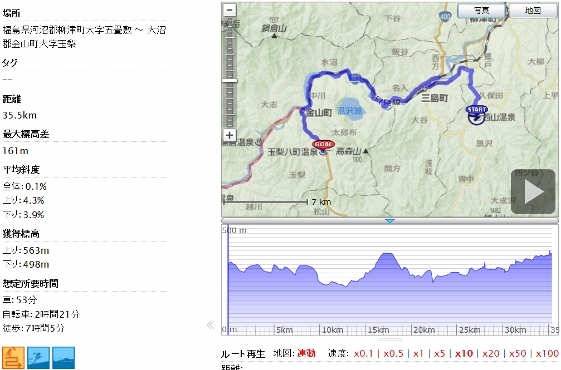 Tonight I stayed at Ebisuya Inn shown in the pictures above. 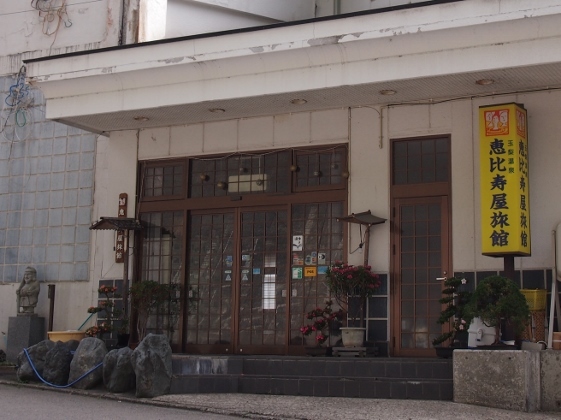 This inn was a member of Japan Association of Segregated Hot Spring Inns. 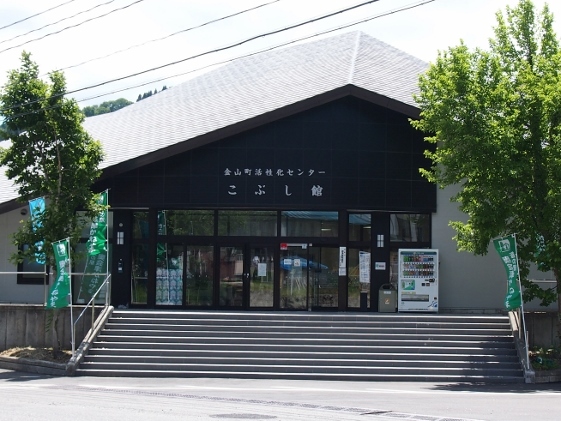 This hot spring had special color and smells similar to that of Nitchu Onsen but this was comfortably hot. 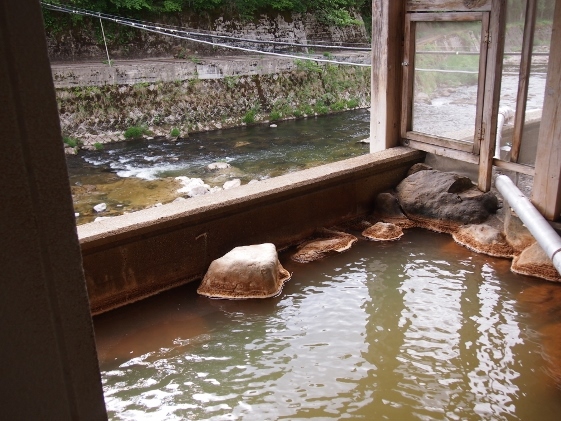 Although the hot spring seemed somewhat special as you can see in the second picture the bath was very good.